When people ask how they can improve their writing I always tell them to write a lot and read a lot. It’s sensible advice and is often given by writers (it’s certainly one of the things I remember being told when I was starting out). And I believe in it. It’s frustrating then when I can’t practice what I preach. I have piles and piles of books I desperately want to read but I just don’t have the time when I’m writing (that and the fact that some are so well written and have such distinctive voices that I’ve been avoiding reading them until I get to a point when I’m not writing because I worry that what I’m writing will end up sounding like I’m trying to sound like whatever it is I’m reading). I should be better at dealing with this but I’m not. I’m certainly getting better. 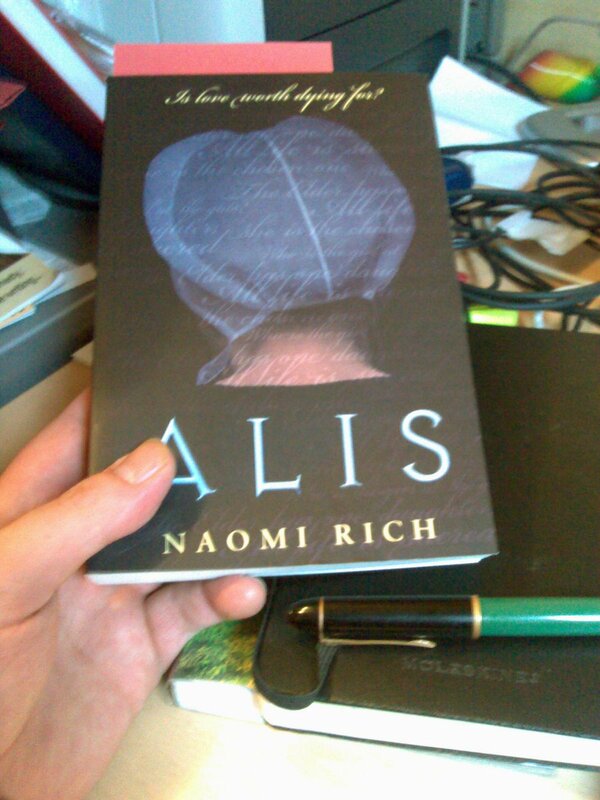 And I hope to continue my getting better by reading Alis by Naomi Rich, which I received this morning, complete with a very nice note inside it from the very nice author. As a funny aside, I’m handing out awards later this week to children who’ve completed the Summer Reading Challenge (read six books over the summer hols). I would not be getting such an award. I think I read four (unless it includes non fiction for research…). 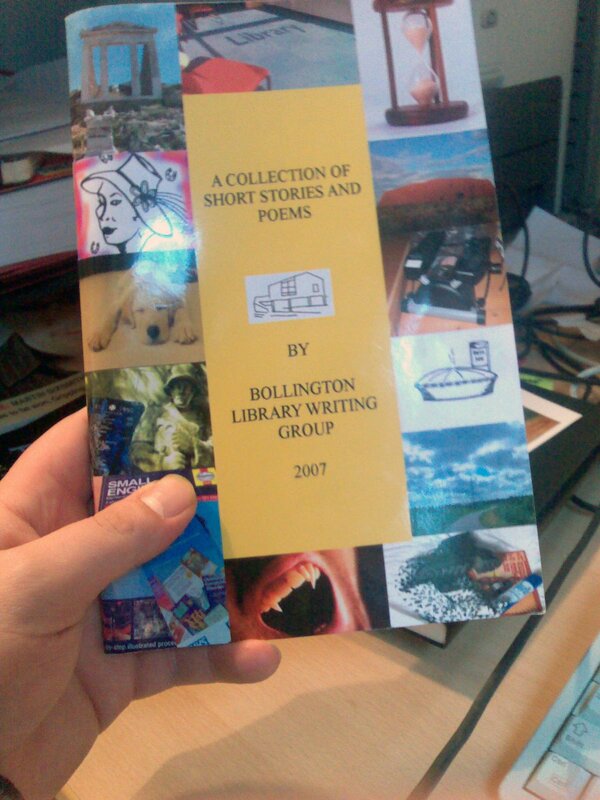 And on a much happier note I was thrilled to read Anne Brooke’s review of my writing group’s collection of short stories and poems. So, a big WELL DONE to all involved I think. And, of course, a big thanks to Anne. Thrilled you liked it. Ha! Will do! Any chance of a walk up the red carpet with you?Nik. And thanks Anne. I’ll go order me tux!